Stridor is a harsh type of noisy breathing and is usually associated with obstruction of a major bronchus that occurs with aspiration. Voice changes can occur with inflammation of the vocal cords or interference with the recurrent laryngeal nerve. Swelling of the ankles is a manifestation of dependent edema, which is associated with right-sided heart failure, renal disease, liver disease, and obstruction of venous flow. 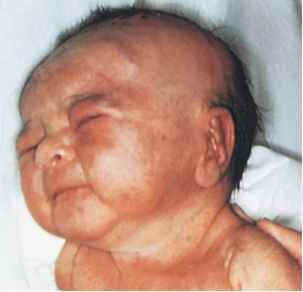 As the condition worsens, abnormal accumulations of fluid produce generalized edema, known as anasarca.